A few years ago I saw Alfred Hitchcock’s Psycho for the first time and was blown away. Vertigo is a film I’ve been waiting to see since then. And I’m glad I did, because like Psycho, Vertigo is both incredibly striking and subtly nuanced, a potent combination which I have come to associate with Hitchcock. Vertigo is about a retired detective in 1950’s San Francisco, John Ferguson, who suffers from a fear of heights. Shortly after retiring, he’s called to take on one final investigation as a personal favor: follow an old friend’s wife, whose husband suspects she’s been possessed by a ghost. While following his target, Madeleine, John witnesses her suicide attempt and saves her life. The two fall in love and then the true plot of the movie begins to unravel, concluding with a magnificent twist. What I’ve found in every Hitchcock movie that I’ve seen is that you legitimately cannot predict what will happen. You’re held by the hand and led down a path of thought which is, about halfway through the film, abruptly shaken. It’s never a subtle switchover, it’s always a stunning moment of epiphany. Viewers are trained to expect specific points of conflict and resolution which appear at predictable places within films, known as the story arc. In Vertigo (as in Psycho), the narrative undergoes an enormous change after the halfway point which distinctly feels like the place where an ordinary film would end. But this is where Vertigo begins to reveal its genius. It lives up to the title of psychological thriller. I love movies of this era and Vertigo is among the best of them. This movie is complex and sophisticated so pay attention. I’m sure I’ll have to watch this at least once more to even have a chance at picking up all the nuance. 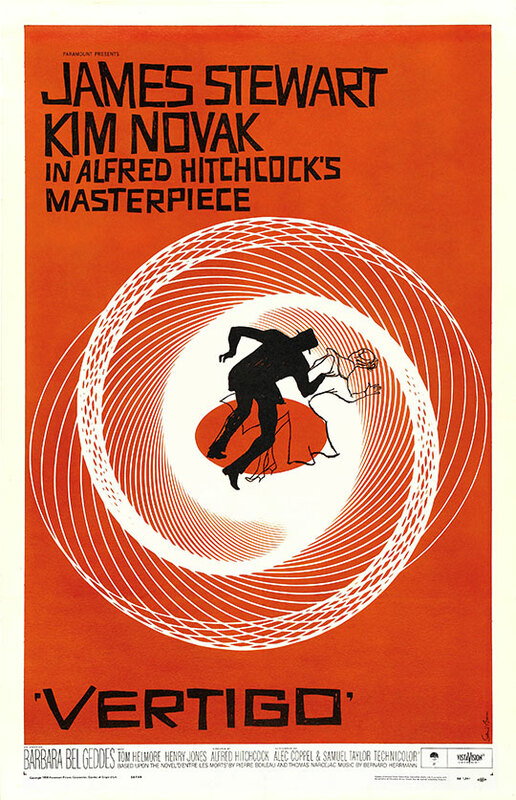 Note: the version of Vertigo that I watched was the remastered HD version, which was first released in the late 1990’s. It looks and sounds amazing.